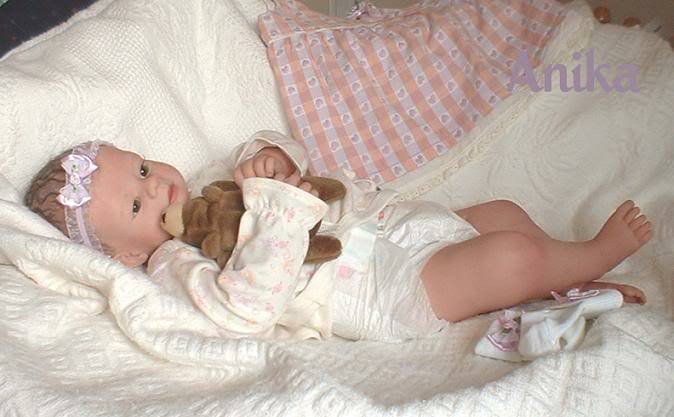 I started sculpting baby dolls in 2004 after I saw a beautiful reborn doll on Ebay. I wanted to make one from start to finish so, using the internet, I gathered all the information I could find, bought the basic supplies and started making baby dolls. I love the way the OOAK Art Dolls come alive when the face takes shape and usually I cannot wait to add the finishing touches with knitting, crocheting or sewing baby clothes. I love all aspects of creating these babies of art.